If ever you are in need of a frontal lobotomy but don't have the cash to pay for it, I'm happy to lend you my boys and you can take them into the city for the day. Your brain will be just as numb. I promise. 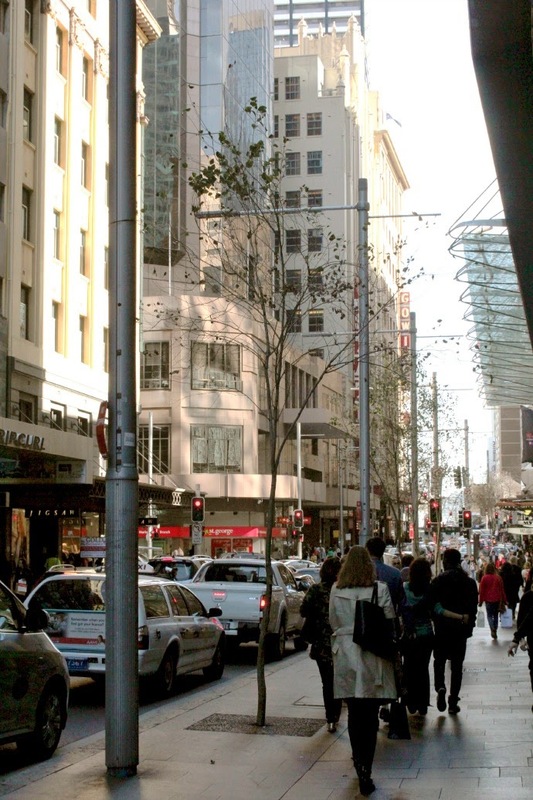 They were rucking on Pitt Street, were chased by security guards after they went round and round the roundy doors of office buildings and they were playing slip and slide on Swarovski's slippery floor. Meanwhile I was having heart attacks at their behaviour and pretending they didn't belong to me. 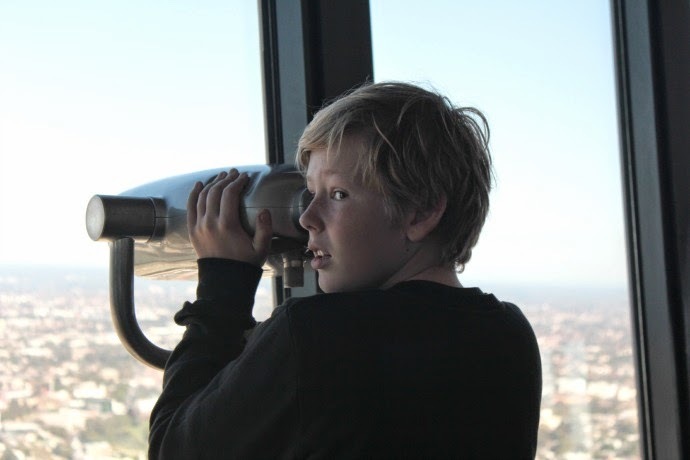 Despite the tomfoolery we were actually in the city for a purpose as we had been invited by Sydney Tower Eye to experience the Skywalk. 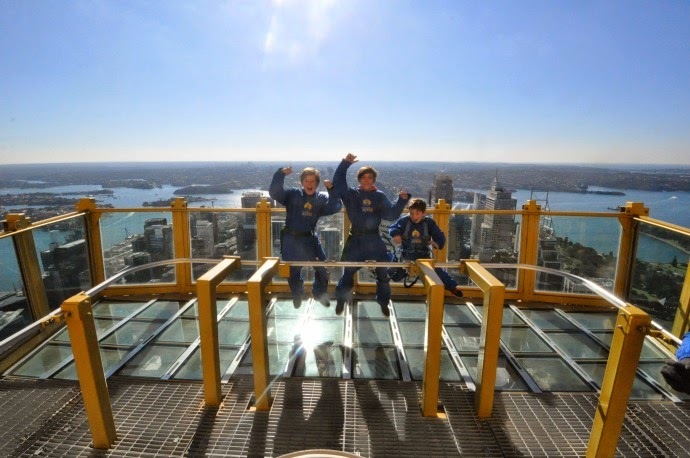 Adults and kids age eight and over can experience Sydney like you have never seen it before - 268 metres above it and on a glass platform. One would expect me to be peeing in my pants given my fear of heights, but trust me when I tell you that the trip in with my kids was more nerve wracking than the walking on air part. 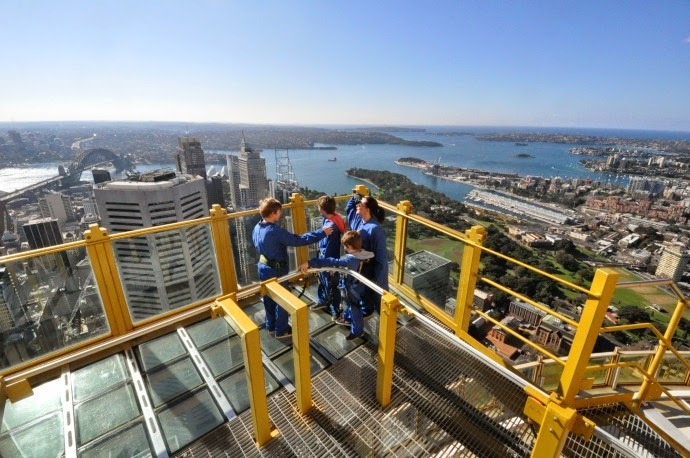 At twice the height of the Sydney Harbour Bridge the Sydney Tower Eye Skywalk platform is not exactly for the faint hearted. But despite looking down through the glass floor at the city below, you feel incredibly safe on the 45 minute tour. 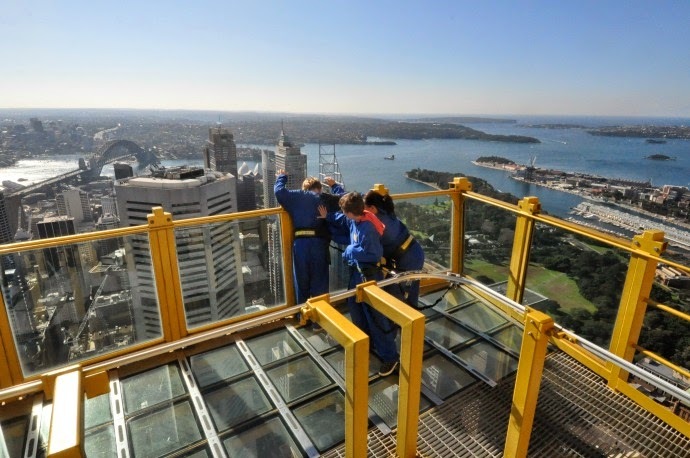 The 360 degree views of Sydney are enough to distract you from thinking about how high you are and you are so busy soaking up all the info the tour guides give you that you forget you are at that precise moment THE highest people in all of Sydney. The little ones (under eights) are certainly not forgotten about. 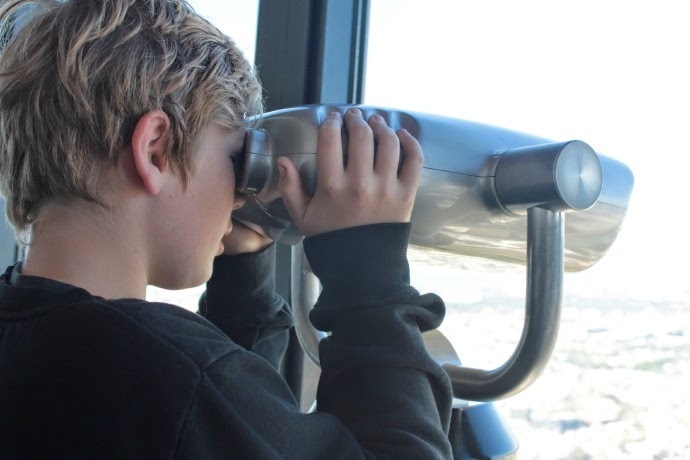 They may be too small to actually do the Skywalk, but they aren't too small to take in the views from the observation deck or do some sky high looming. 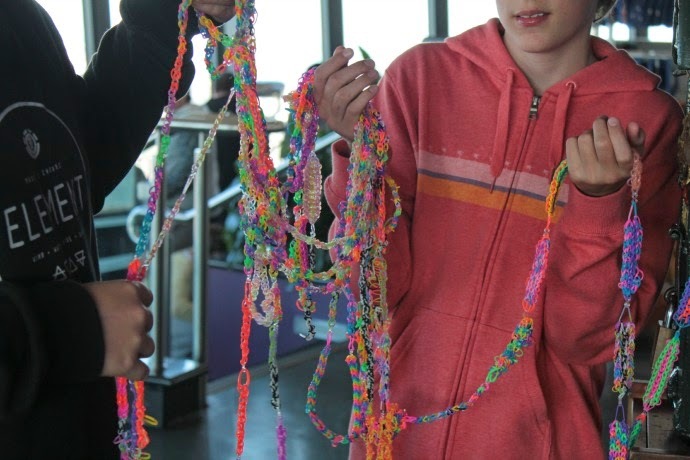 These school holidays the guys at Sydney Tower eye are on a mission to create a loom band as long as Sydney Tower is high - 309 metres long to be precise, and they need your kid's help. I did'nt see any kids complaining. Go forth you loom nuts! 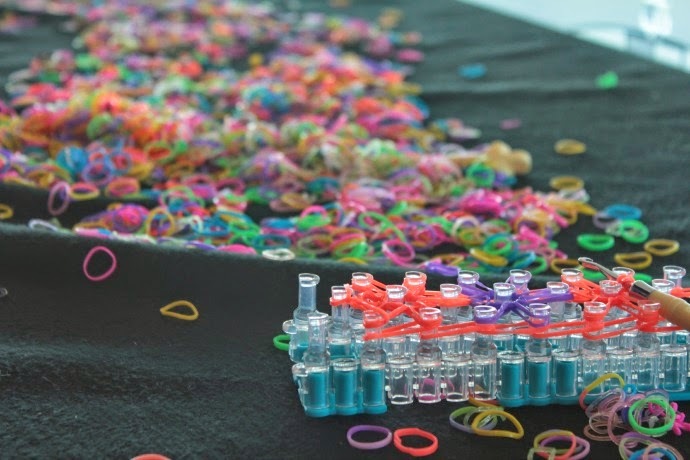 The loom banding activity is open on the observation level these July 2014 school holidays and operates from 11am - 3pm daily. Our tour guide Nick had my boys entertained from woe to go, oh and it also happened to be his birthday today. Happy birthday Nick! 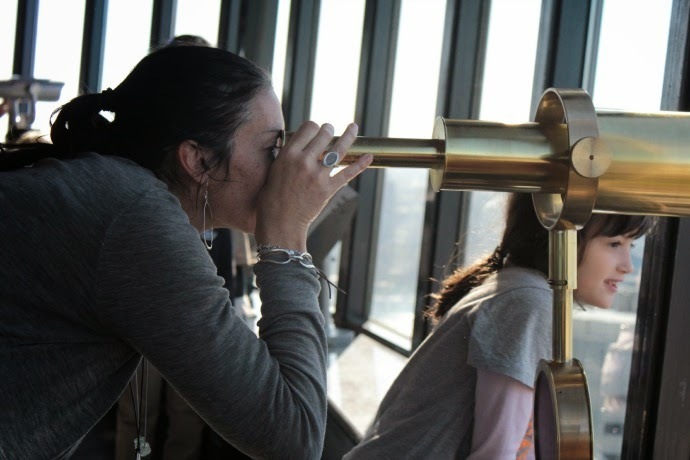 If you are keen for a little sky high action (no not THAT type of action), the Skywalk is open daily from 10am - 7pm (last tour starts at 7pm) May to September and 10am - 8pm October to April. You can book your tour here. 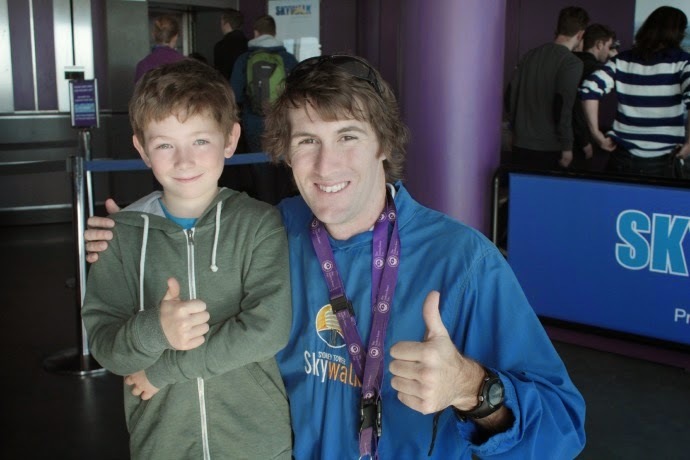 Have you tried the Skywalk? 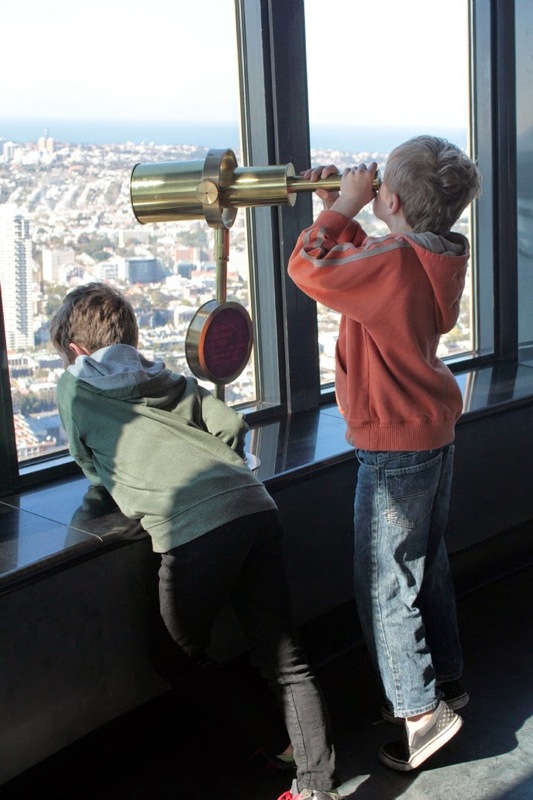 How's your fear of heights or taking kids into the city?